Get your trenchcoat style going the classy and sophisticated way with this khaki color belted trench coat by Vittorio St. Angelo. 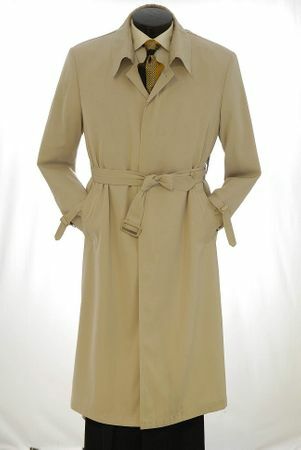 Made of a water resistant cotton twill blend fabric outer shell, this khaki color trenchcoat has the classic look to keep those elements at bay. Features a removable lining.